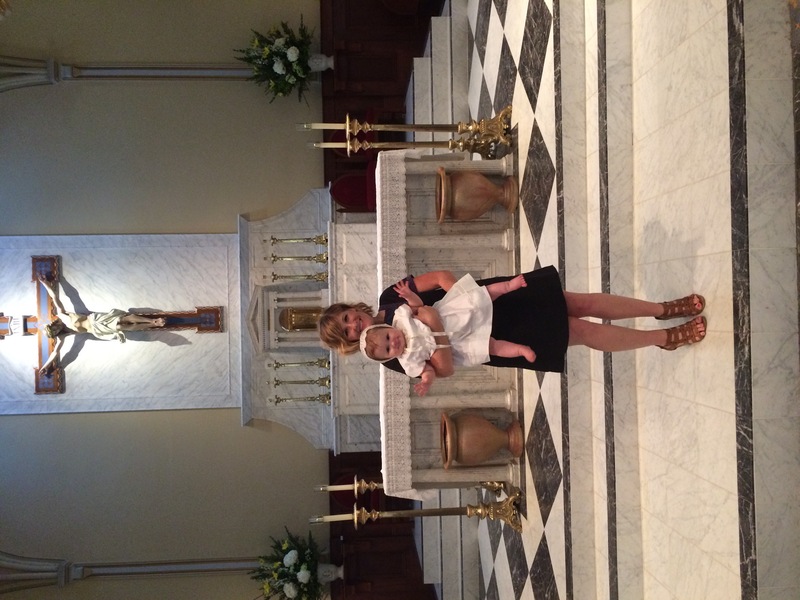 On Sunday, June 12, 2016 at 2:15, my sweet Zoe got baptized at St. Mary’s Catholic Church in Old Town, Alexandria. 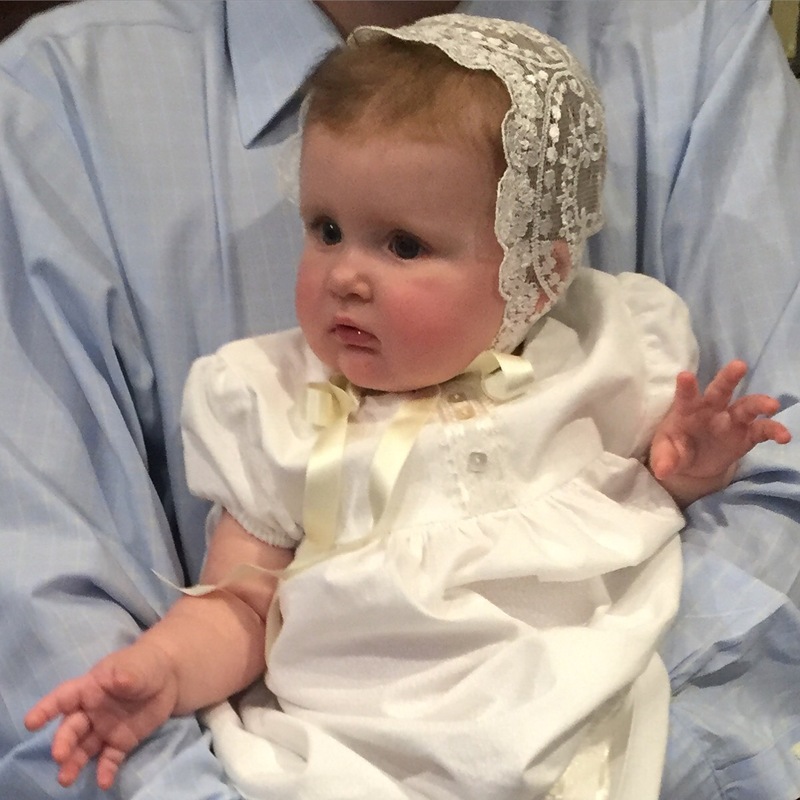 Getting Zoe Baptized was never a question. We were definitely always planning on it. However, I waited until she was 9 months old, the perfect time. It is such a special ceremony that I wanted to make sure it was celebrated properly. I didn’t want to rush into planning it, until I actually had the time to dedicate towards planning. The early days of motherhood were the absolute sweetest. It was those days that I had the opportunity to get to know my sweet Zoe and watch her up close as she got to know the world. Sometimes those days and nights were long and overwhelming, but I focused on snuggling Zoe, as I also settled into my new identity as Zoe’s mama. The last thing I wanted to do was use any of that sweet time towards planning. So I waited to plan her baptism until I was ready to plan. Turns out, at 9 months old, Zoe is full of playful personality. 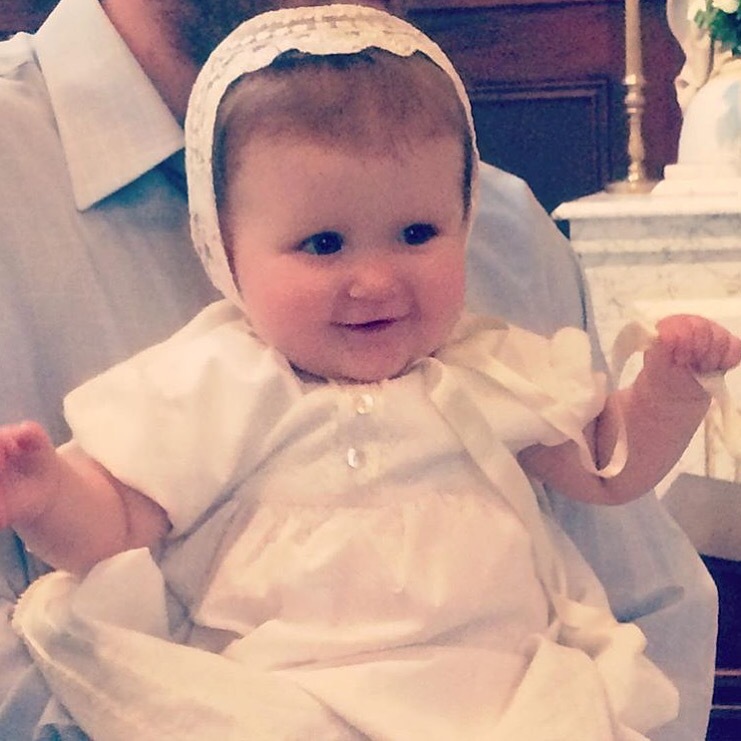 And June is the best month for a baptism, because the weather is warm enough for baby Zoe to wear a cute white gown. 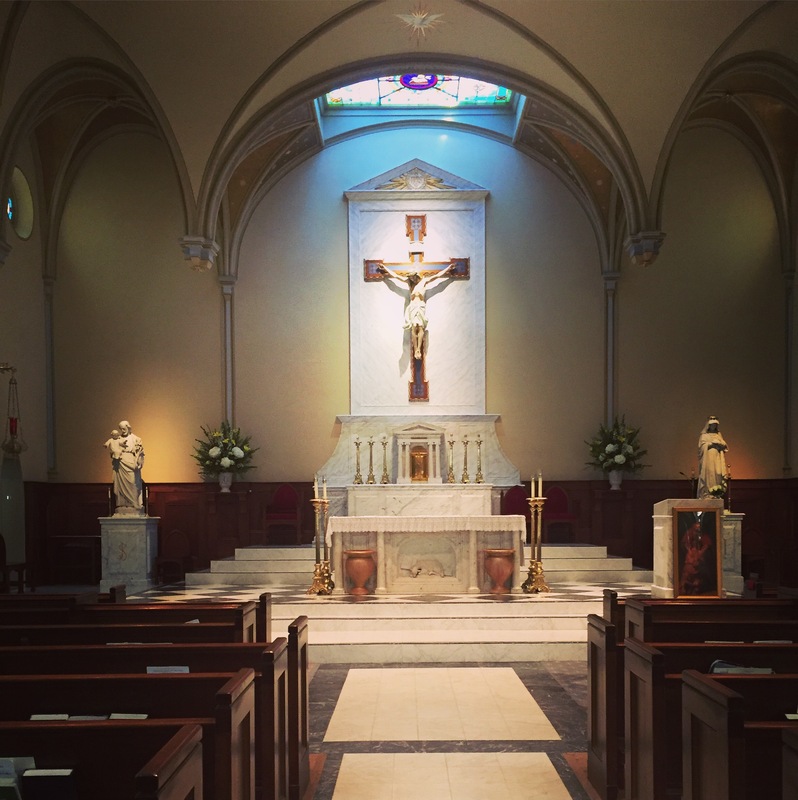 St. Mary’s Catholic Church in Old Town, Alexandria, is one of the oldest and most beautiful Catholic Churches. 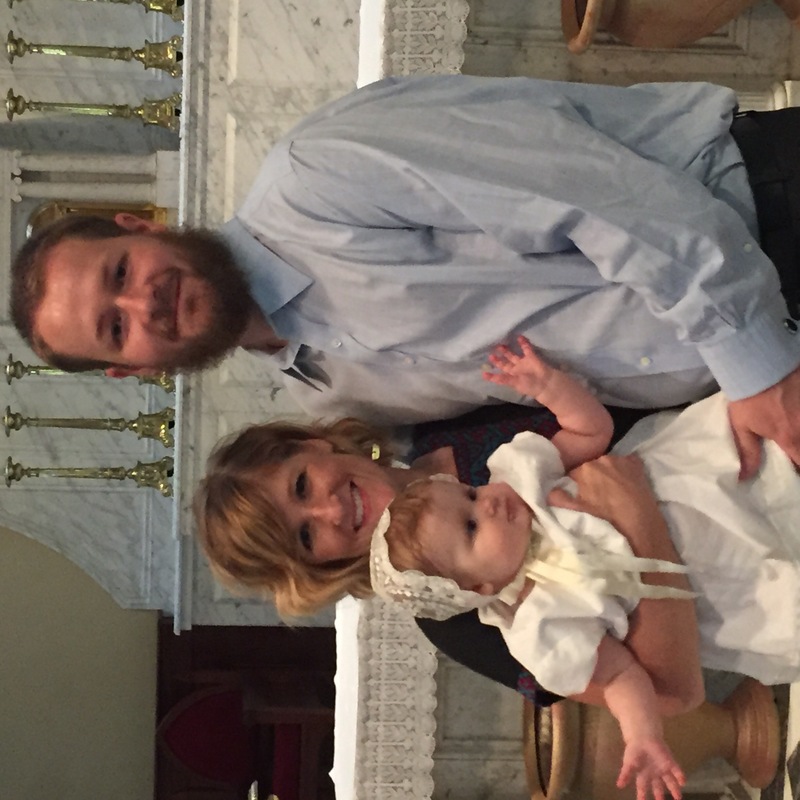 Although, I was not baptized at St. Mary’s (I was baptized at Our Lady of Lordes) it was special for me that my daughter had the opportunity to be baptized at the same church I went to as a child. The same church that I received the sacraments of reconciliation, holy communion, and confirmation. It was special and tradition. The classes don’t bother me at all. I actually like them. Sacraments are important and the Church isn’t just going to hand those out to everybody. They want to make sure you understand why you are receiving the sacrament. They also want to prepare you of what will happen that day, and your responsibility for the days to come. The priest teaching the class also will help clear up any questions or concerns you have. As you all know, fashion is very important to me, so of course Zoe was dressed up in her absolute finest. I love a unique, hand-made, one of a kind dress. So that is exactly what Zoe wore. 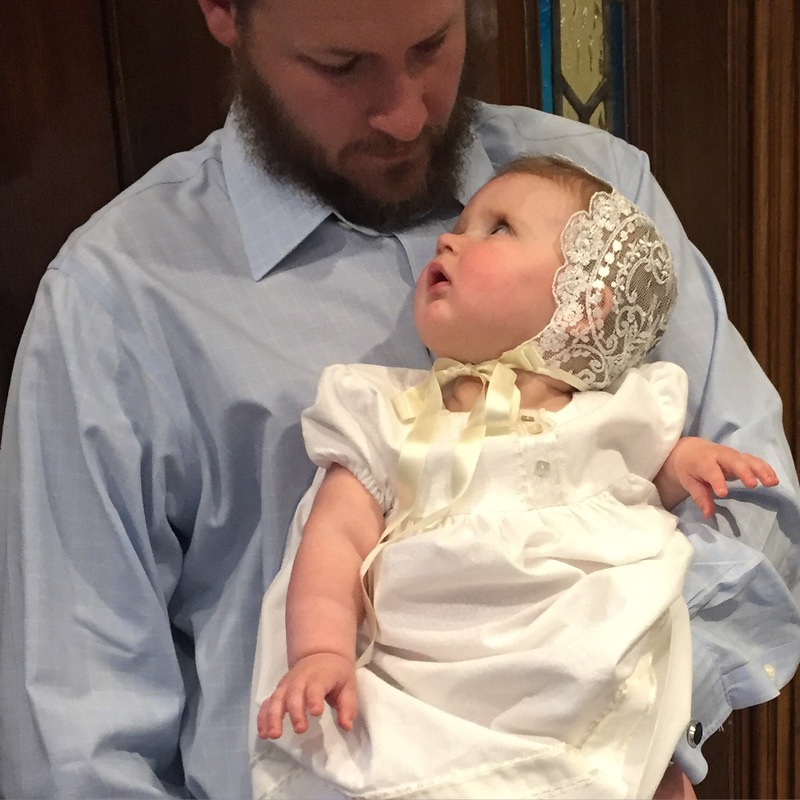 I was so thankful that my Aunt Lynda was able to make Zoe her beautiful baptism gown. It was made from the softest summer fabric in the warmest white. She added the sweetest ivory details. All of the accessories she wore I bought from, One Small Child. The lace bonnet is in the color ivory. It is beyond stunning. 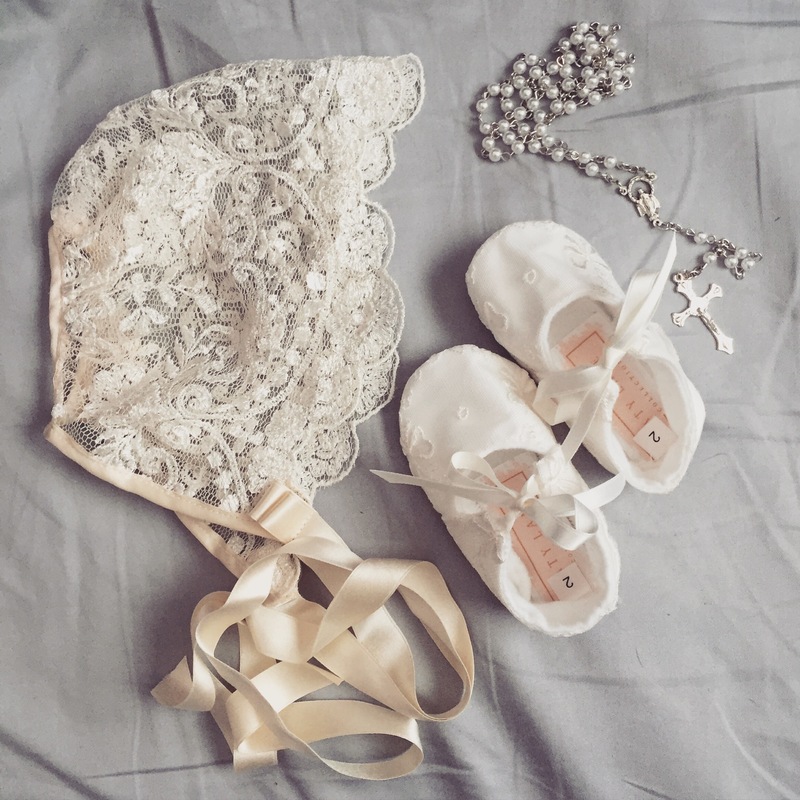 The shoes are a soft white/ivory combination, which added a sweet touch. My daughter’s feet are very petite so it is always a challenge to keep shoes on her. 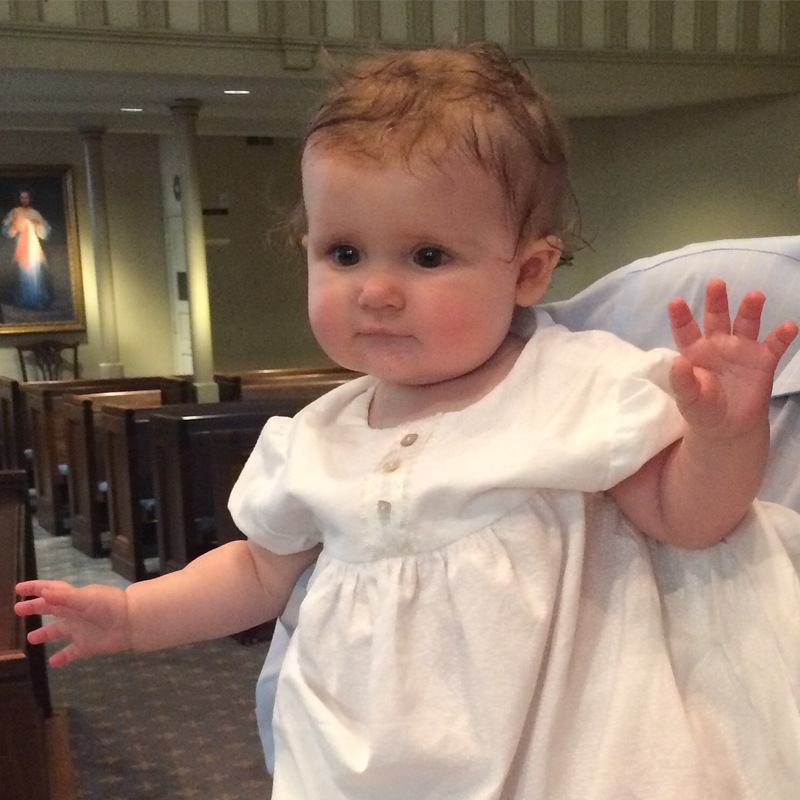 During the baptism, she got so excited she started kicking her feet, so the shoes slipped off. But I’m still glad I had them. The combination of the bonnet, shoes, dress, and bloomer, really made her look like a doll. This special outfit is definitely one I will keep forever. 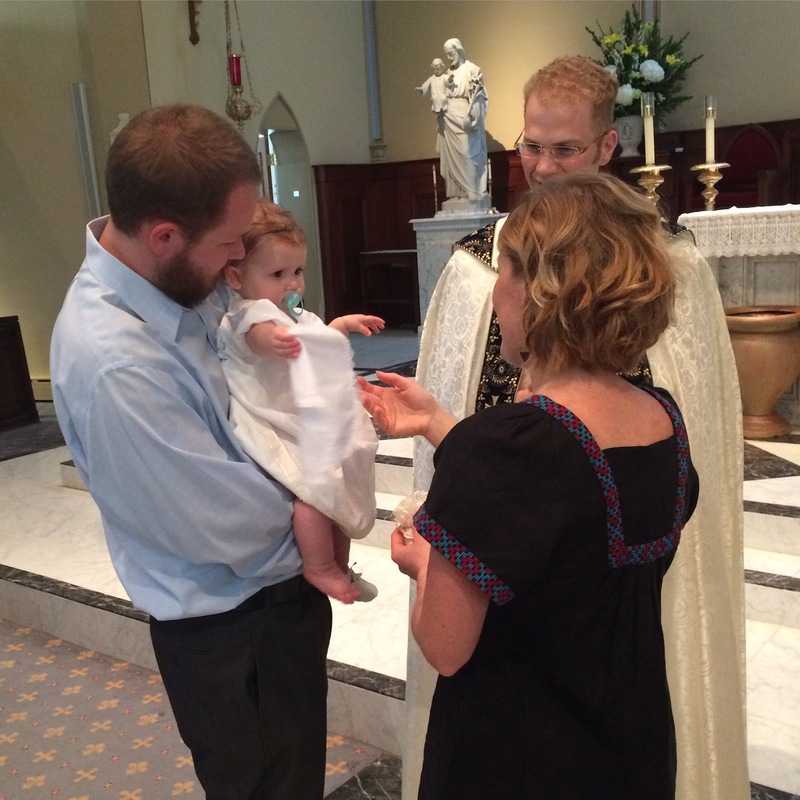 The ceremony was very traditional, however, Zoe was the only baby baptized that day. Because of this we were able to go right upfront and crowd around her. Erik held her the whole time. Father Andrew (the priest) blessed her by placing a cross of oil along her chest. We being her parents, and Jackie, her now God mother, mimicked the prist, rubbing a cross of oil upon her. Zoe giggled, cooed, and babbled. Father Andrews lit a candle. Then we took her over to where the holy water was. The priest poured the water over her head. At first it seemed refreshing and cool, but then it trickled down into her eyes. She cried for a couple seconds, but then was back to giggling, cooing, babbling, wet hair and all. After the ceremony was over, we spent time in the church taking pictures. Then we headed to the after party!! After the ceremony, we all headed over to one of my favorite restaurants in Old Town, Columbia Firehouse. This restaurant use to be an old fire house. It has a really cool dining room and outdoor seating. The food is also really delicious. We started with drinks and then ate dinner. Zoe was so exhausted from her baptism, that she actually napped during dinner. 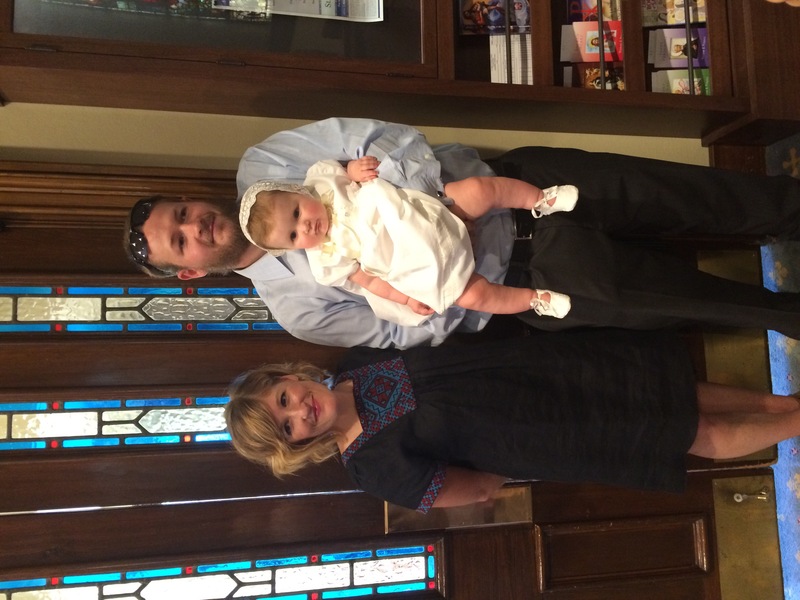 At the end, Zoe’s baptism day was lovely. We received her candel that burned during the ceremony, a small cross quilt, and a certificate from the church. I also gave her a gift – her first pair of white pearl rosary beads.